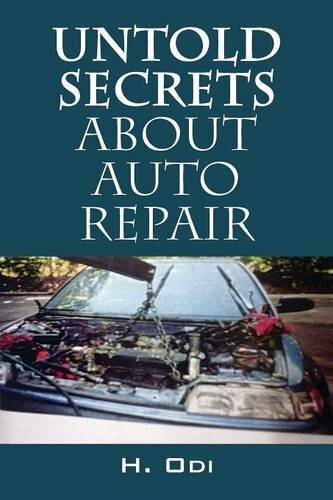 I like that he recommends tips for choosing a reliable mechanic—such as getting referrals from friends, checking out reviews and the BBB for any issues. Often if you go into a shop, you can get a good idea of how they treat customers, and can look to see if their current certification from the National Institute for Automotive Services Excellence (ASE Certified) is posted, so it is easy to see. If you don't see it posted, ask them to show you their current certification. A good suggestion when looking for repairs or maintenance is to check online/print coupons and ads on TV. During the holiday's shops are slow and are willing to match other legitimate coupons from other businesses. Remember to see if they give military, senior or AAA discounts. While reading these suggestions, it reminded me of my daughter who went to get an inspection for her car. It passed, however, the person at the counter said: you need to get new tires, a new battery and new shocks. Little did she know that these were possible future repairs and did not require immediate attention. Get what you went in to get fixed, then get a second opinion. You are not obligated to do your maintenance or repairs at that business.